Frugal Mom and Wife: Pin Your Favorites With Frugal Mom and Wife on Pinterest!! Pin Your Favorites With Frugal Mom and Wife on Pinterest!! 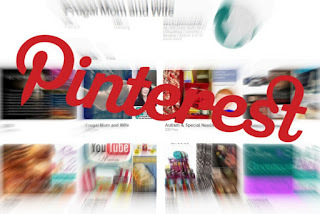 Pinterest lets you organize and share all the awesome things you find on the web. Many people use pinboards to plan their weddings, decorate their homes, show off their ideas, and organize their favorite recipes. Better yet, organize favorite deals and freebies! Looking through pinboards is a fun way to discover new things and get inspiration from people who share your interests. Be careful, Pinterest is very addicting! Proceed with Caution!